AURANE PROUD STYLISH PASTE 80ML – HAIRDEPOT - Hair & Scalp Care Products, Prevent Hair Loss, Shampoo, Conditioner, Treatment, Styling, Appliances and more! 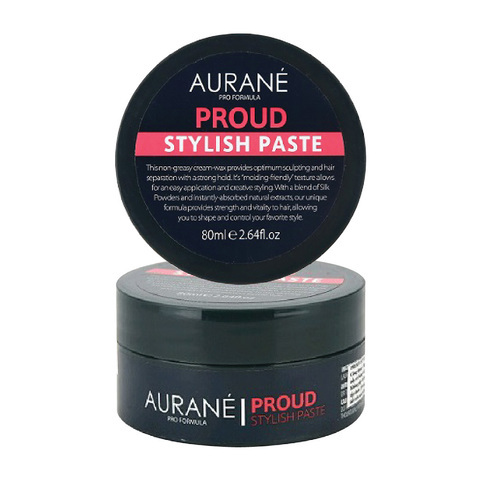 This non-greasy cream-wax provides optimum sculpting and hair separation with a strong hold. 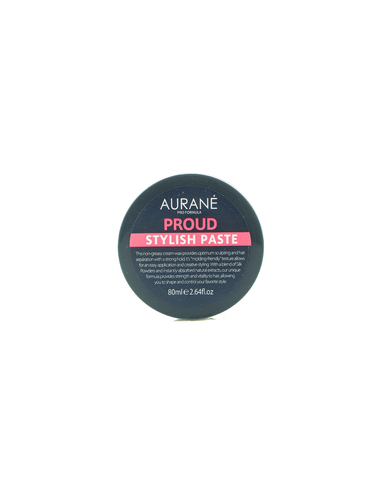 It’s “molding-friendly” texture allows for an easy application and creative styling. With a blend of Silk Powders and instantly-absorbed natural extracts, our unique formula provides strength and vitality to hair, allowing you to shape and control your favorite style. Apply desire amount of products onto palms, then extend to your hair partially or totally according to style you want to make, finish style..